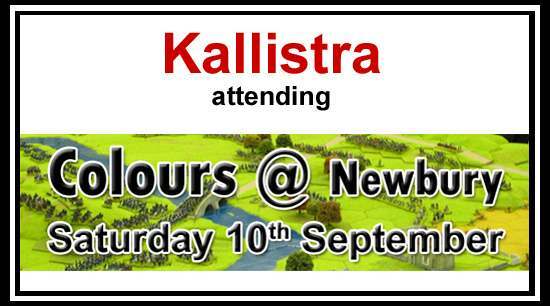 Kallistra will be attending Colours 2016 on Saturday, 10th of September at Newbury Racecourse, United Kingdom. Please note that the 'singles' packs of Norman, Saxons, Romano-British and Vikings are not stock items at shows. You can pre-order them, and we'll bring them along for you to collect. Unfortunately, it is not possible to carry our full range of products to shows, so if you know what's on your Kallistra shopping list, please, to avoid disappointment on the day, email your requests in advance or use the show pre-order facility on the website.